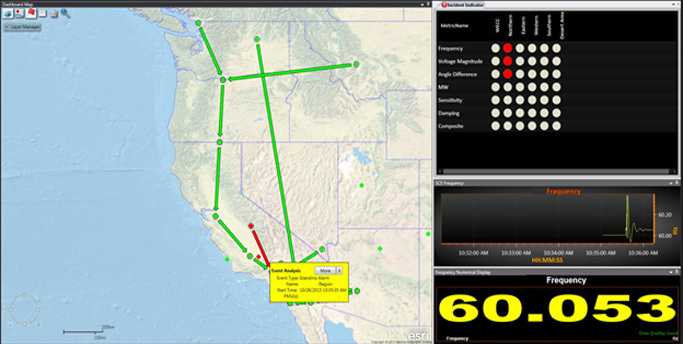 RTDMS is a comprehensive platform for real-time wide-area analysis and monitoring using Synchrophasor data for use in control centers. RTDMS functions include data management, analysis and archiving; real-time visualization; and remote client access via the Intelligent Synchrophasor Gateway (ISG). The data functions include data parsing, bad data detection and handling, calculations, and advanced algorithms including event detection, mode meter, sensitivity, oscillation, islanding detection, etc. 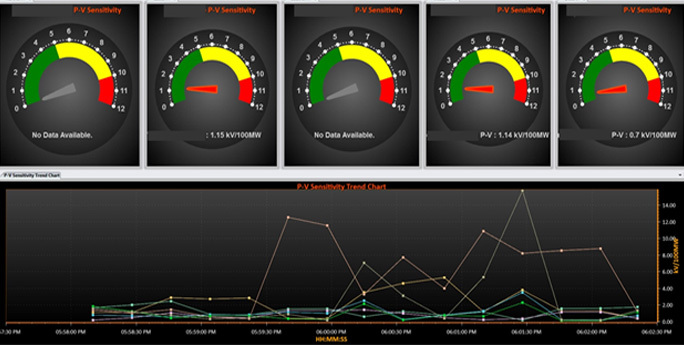 The visualization provides a dashboard with all key metrics including frequency, phase angles, power flows, voltages, damping and other key metrics available to operators at a glance for comprehensive wide-area real-time visualization and situational awareness. •	Take timely corrective actions to address vulnerabilities like oscillations, low damping, large phase angle, diverging phase angle trend, high voltage sensitivity etc. RTDMS provides displays that enable the user to monitor the entire power grid, diagnose events occurring in the system and take required actions. 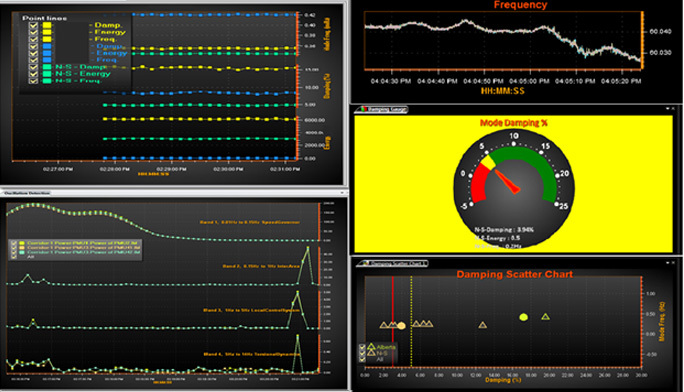 The situational awareness dashboard provides geospatial displays and views for metrics such as phase angle differences, voltages, frequencies and power flows. Alarms and event analyzer popups in RTDMS enable quick and easy detection and diagnosis of the events as to identifying the time, location and the severity of the event. RTDMS has the capability to detect unknown oscillations and also monitor known oscillation modes (inter area local, control system malfunctions) for tracking damping and energy levels in real-time. Measurement based dynamics provide voltage sensitivities; monitoring of key corridors or load pockets; scatter plots for power-voltage and power-angle monitoring. This enables and alerts users for proximity to voltage collapse conditions. Automatic Event notifications and analysis when there is an event. Real-time tracking and assessment of angular separation across the grid to prevent conditions leading to blackouts. Dashboard Displays, Local Displays, Geospatial views, Bar Charts, Polar Charts, Dial Chart, Pie Charts, Numeric Charts. Use real-time phase angle information to reclose lines after events.